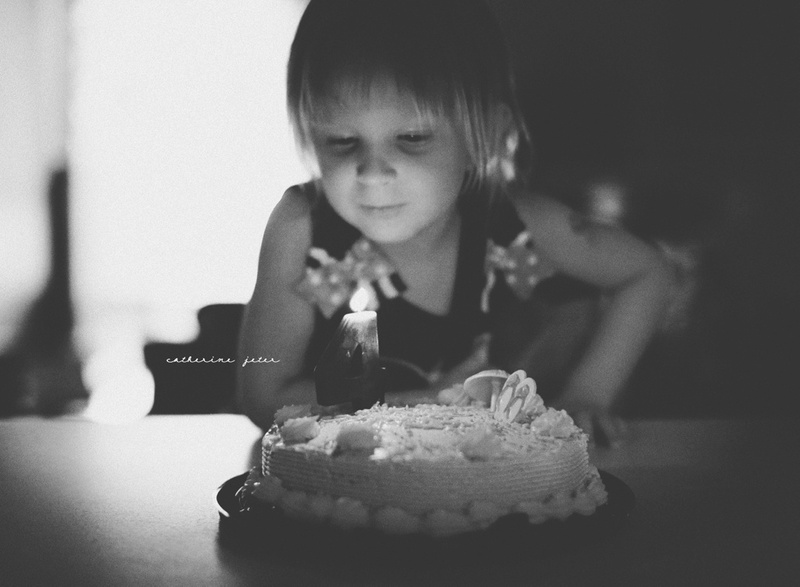 Catherine Jeter Photography: Happy birthday, Charlotte. You, my darling monkey, are the absolute bright spot in our lives on a daily basis. When you wake up in the morning, your hair looks like it went through the blender, and you stumble into our room with the biggest smile on your face, "Good morning, mommy!" You give the most amazing hugs. You are all love. Every fiber of your being--every piece of your soul--is love. You will tap someone on the leg in the post office and say, "HI!" before you get this frightened look on your face and turn to me to ask, "Mommy? Is that a stranger?" You are relentless in your pursuit of the answer that you desire to your questions. You will ask us the same thing over and over and over and over and over and over and over until you are personally satisfied with the answer. You LOVE to learn. I am certain you will be spelling and reading your name like a PRO before pre-K starts in the fall. Your favorite book in the whole world is called "The Little Girl Who Lost Her Name" - a book about a brave little blonde girl, named Charlotte. You fight with your brother something fierce. You love your brother something fierce. Wilbur is still your best friend in the whole world. You take cues from everyone around you. You don't know the first thing about baseball, but you will stand up and scream, "GREAT HIT, THADDEUS!! WAY TO GO!!" because you hear everyone else around you screaming the same thing. I am so proud of the little girl you are becoming. Everywhere we go, people stop to tell us just how special you are. They can see it in the way you walk, talk, and dance. You dance everywhere we go. At the parade on the 4th of July, you asked me if you could dance in the street before the floats came by. And when people tell me how special you are, I just smile. From the day you were born...all 3 pounds and 15 ounces of you...you had me wrapped around your finger. I am so blessed to have been chosen to be your mommy. I don't know what I did to deserve that title, but I can tell you it is the absolute BEST feeling in the world, being loved by you. very good post and sharing.